Fans of 'Special Affairs Team TEN' will not be getting their third season yet, but those who appreciated the style of the drama will be getting a consolation piece. The production team of the aforementioned series is back with 'Missing Noir M'. The premise this time around involves missing persons, rather than the usual dead ones, and also a dynamic duo of very different characters working together and solving the presented mysteries. Gil Soo-hyeon (Kim Kang-woo) is a genius former FBI agent who returns to Korea to lead a missing persons unit and uncover a mystery. His partner is Oh Dae-yeong (Park Hee-soon), a veteran detective who goes by hunches and a less fussy approach to get his work done. The two clash as they cooperate and solve the toughest of missing persons cases and serious crimes. 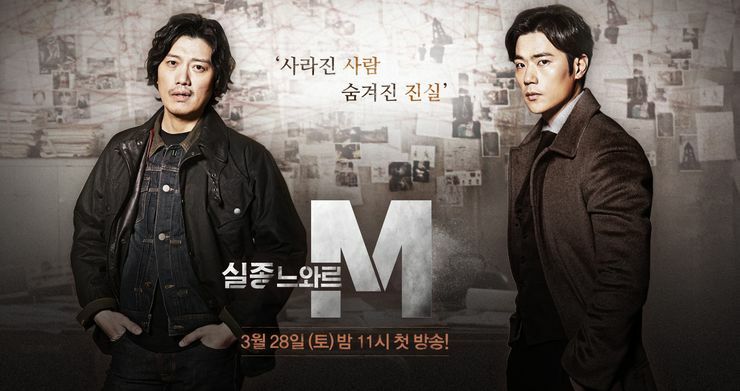 Full Article: [HanCinema's Drama Preview] "Missing Noir M".